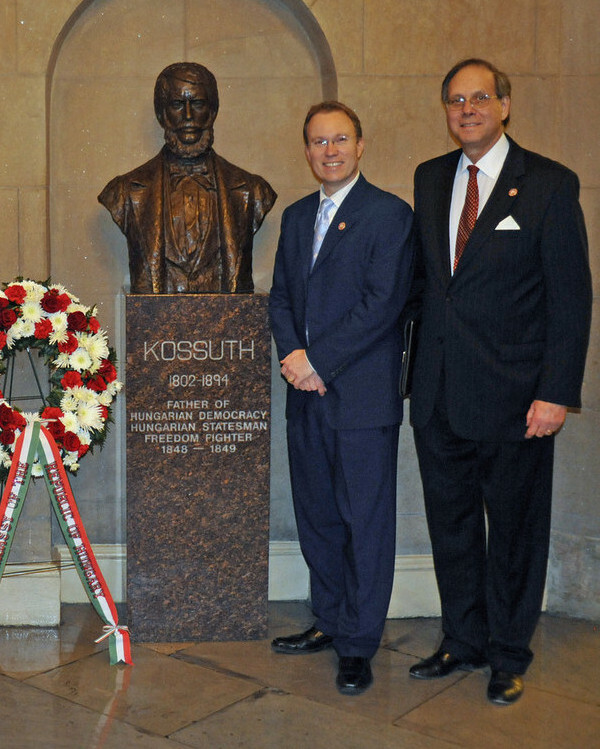 3/17/2018 - The American Hungarian Federation's annual commemoration of Hungarian National Day and the anniversary of its historic 1848 democratic revolution led by Louis Kossuth for 2018 was held at the Hungarian Embassy in Washington, DC on March 10th. 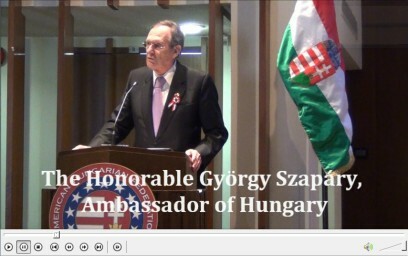 The keynote addresses were provided by Zsigmond Perényi, Hungarian Deputy Secretary for International Affairs and AHF Chairman Frank Koszorus, Jr.
Hungarian Ambassador, Dr. Szabó László, gave opening remarks. The keynote addresses were provided by Zsigmond Perényi, Hungarian Deputy Secretary for International Affairs, and AHF Chairman Frank Koszorus, Jr. In keeping with tradition, the Hungarian Scouts of Washington led the audience in patriotic performance, "Emlékezz velünk" (remember with us) and "Kossuth Dalok" (patriotic Kossuth songs). The event closed with Reverend Judit Máyer. Your Excellency, Mr. Deputy Assistant Minister, Distinguished guests, ladies and gentlemen, future leaders of our community! 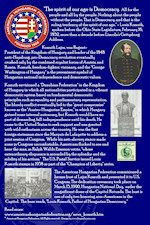 A fleeting thought crossed my mind as I was planning the program for this year’s commemoration of the Revolution and War of Independence of 1848 – 1849, a commemoration my organization the American Hungarian Federation has sponsored since its founding in 1906. Why do we come together every Ides of March? Why are we not taking a walk in the park on the eve of spring or watching March Madness? Why do we instead sing Kossuth songs, recite the same poetry, listen to speeches about ‘old, dead white men? What ‘relevance,’ does all of this have for us today? Haven’t we already and many times over heard the, ‘All for the people and all by the people. Nothing about the people without the people. That is Democracy, and that is the ruling tendency of the spirit of our age,” words uttered by Lajos Kossuth over a decade before President Abraham Lincoln's famed ‘for the people, by the people’ speech given at Gettysburg in 1863? And there are moments when Hungarian and American histories are inextricably linked, as today when both are NATO allies or in 1849 when Kossuth, known as the Champion of Liberty, was strongly influenced by America’s Declaration of Independence when Hungary sought its independence from Vienna. But there is another equally if not more compelling reason. Rackoczi, Szechenyi, Petofi, Kossuth, the Hungarian heroes who helped save lives during the Holocaust, Nagy Imre and the Pesti srac of 1956 and the democrats of over twenty years ago who abolished an oppressive form of government, just to mention a few, guide and inspire us. Their principles and tremendous sacrifice impose a special responsibility on us to remember the democratic values, independence, liberty and sovereignty championed by Kossuth and the Hungarian patriots of the Ides of March. 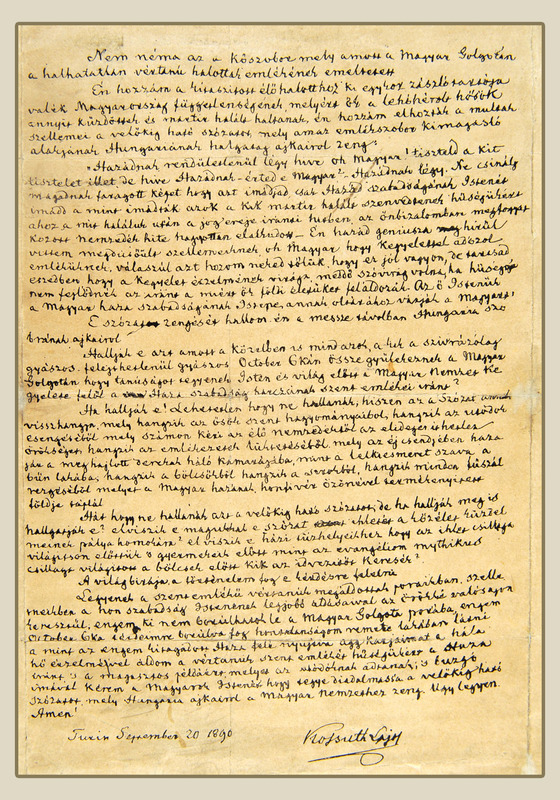 Since its founding the Federation has proudly and diligently passed on the memory of this rich heritage from generation to generation and continues to do so, especially as one finds so much fake news or fake history cavalierly being spread around about Hungarians in the public domain today. Thank you for your attention and for joining us in this critically important endeavor. I would particularly like to thank the Scouts -- the baton will be passed to you; run with it!